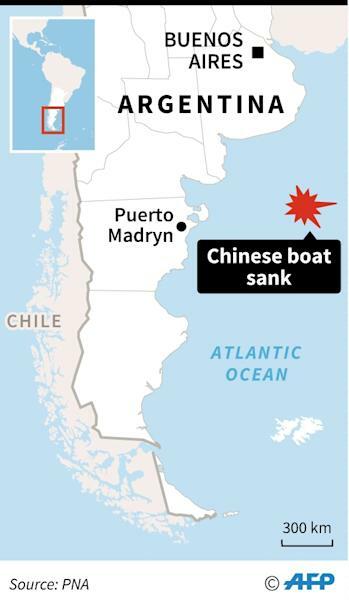 Argentinian forces opened fire on and sank a Chinese boat illegally fishing in the South Atlantic after it attempted to ram a coast guard vessel, officials said Tuesday. A video posted on the coast guard's website showed a large Chinese boat listing in the open sea while apparently under pursuit. Poaching of fish is a perennial problem in the Atlantic and Southern Ocean, and has sometimes seen law enforcement agencies pursue violators for weeks on end at sea, but it is highly unusual for such incidents to end with a vessel being sent to the sea floor. The sinking comes as China expands its long-distance fishing fleet to meet surging demand for seafood, with Beijing's foreign ministry expressing "serious concern" over the incident. The coast guard said the Lu Yan Yuan Yu 010 was fishing without permission off Puerto Madryn, 1,300 kilometres(800 miles) south of Buenos Aires on Tuesday, inside Argentina's exclusive economic zone. The ship refused requests in Spanish and English to be boarded, turning off its lights and attempting to flee towards international waters, the statement added. "To protect our fishing resources, and given the (Chinese) boat's refusal to be boarded, warning shots were fired," it said. "The offending vessel carried out manoeuvres to collide with the coast guard patrol... Thus the order was given to fire on different sections of the vessel, damaging it". The boat's captain was due to be handed over to police and appear before a judge. China's foreign ministry said on its website it had received information that the 32 Chinese sailors on board had been rescued unhurt, four by the coast guard and the others by nearby Chinese boats. Beijing "expressed serious concern about this incident, and called on Argentina to make an immediate and thorough investigation, report the details to China," spokesman Lu Kang was cited as saying. China is a key export market for Argentinian agriculture and raw materials, and President Xi Jinping visited in 2014, when he said the two countries' relationship was poised to reach unprecedented "new horizons". 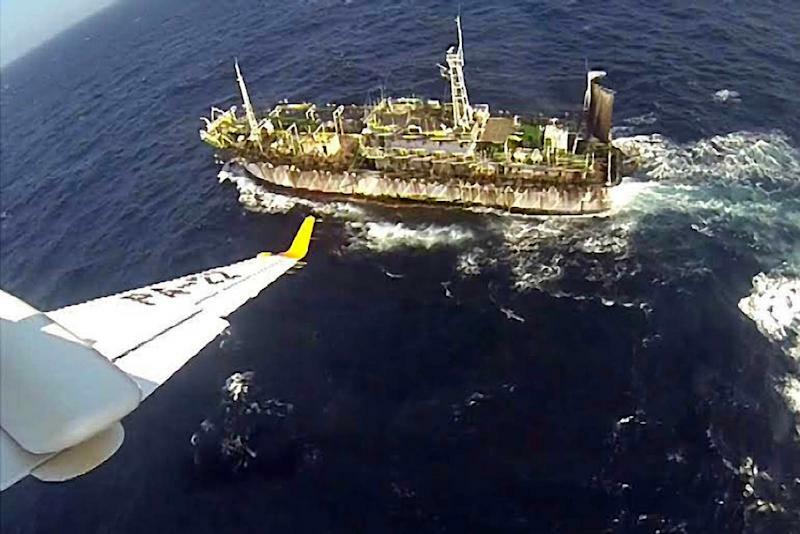 Illegal fishing is common in the waters of the South Atlantic, reportedly often involving Chinese or Russian vessels. China is the world's largest market for seafood and has the biggest overseas fishing fleet. It has grown rapidly in recent decades to reach more than 2,460 vessels, which do most of their fishing off west Africa, according to research at Nanyang Technological University. Last year Greenpeace said that at least 74 fishing vessels owned and operated by four Chinese distant water fishing companies had been exposed for fishing illegally off west Africa. Beijing's neighbours Seoul and Hanoi often accuse Chinese vessels of illegally entering their waters. Argentina in 2012 said it captured two Chinese fishing vessels illegally fishing for squid in its exclusive economic zone, after firing warning shots. 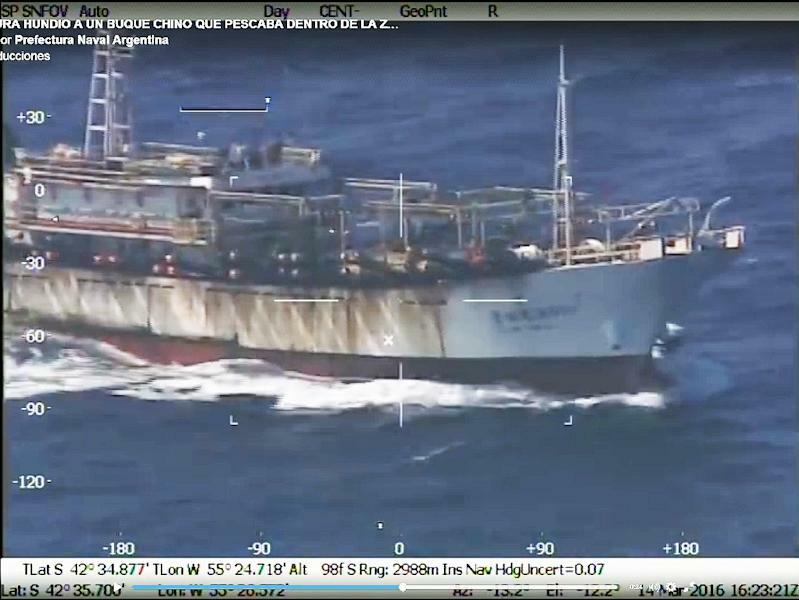 At the time local reports said illegal Chinese fishing was often facilitated by corrupt officials within the Argentine government and coast guard.